We are proud to announce Vision Aeronautics, LLC new home! 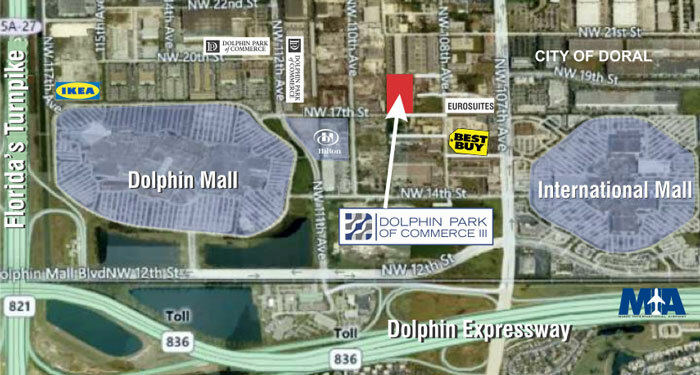 Vision Aeronautics, LLC is moving into the new Dolphin Park of Commerce III. We will be situated in a master-planned commercial condominium park centrally located on a major road connecting the Dolphin and International Regional Malls in the Doral – Airport West Sub-Market. Walking distance to the largest Ikea super-store in the U.S.
PreviousPrevious post:Meet With Us At MRO Americas 2017 Orlando!